Our leadership workshops are designed for beginner, intermediate or advanced leaders who desire to understand and improve both interpersonal and professional development. 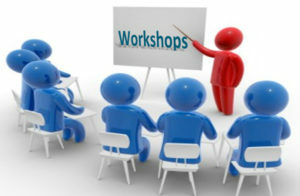 We offer a wide range of programs and custom workshops are also offered for larger group commitments. What exactly is continuous improvement? Why should it be a focus? How do you get everyone on board with it? How do you “interview like a pro” and assess people properly? What do leading experts have to say about leadership, mission, and entrepreneurship? Interested? Call us at 773-641-9631 or fill out this form and we will be in touch. Do you hold yourself as a Leader? What is leadership? What is managing? Note: One free leadership profile done per company by calling Darlene at 773-775-6636 or email at Darlene@JohnRuh.com. What is the recruiting model all sports teams use and why? What is continuous improvement and why bother with it? John Ruh is a rare individual. Many advisors are theoreticians. John has actually been there, and done that. He has started, built, and sold a company before. Not once, not twice, but three times. He knows how to do it and knows how to explain what needs to be done. His advanced leadership program (what he calls your game plan) pulls together the best of the best and features tools that he knows works. John has been a personal advisor to me for a number of years and he is excellent, very vested, and keeps reminding you of what you need to be doing. Highly recommended. I met John at a luncheon. He introduced himself as a serial entrepreneur. I really didn’t know what to think about that description, no one had ever introduced themselves that way to me. My business was in survival mode when I met John. It didn’t take long for me to realize that he really is a serial entrepreneur. John introduced D.I.S.C. to us and worked with us to develop a plan of action. He explained how we should communicate with people according to their DISC. I know that he uses that same technique on me, and I like it! John has given us a plan that has taken us from survival to growth. We are now excited about the future, and that is 180 degrees from survival. I met John in 1995. He was hired as my Business Coach. Originally my ego got in the way and I did not think I needed one. However since meeting John, I still talk to him monthly. I can share the MANY, MANY ways John’s instruction and teaching has positively changed how I interact with others, built trust quickly, and ultimately generated revenue, however I’ll share just one example. John instructed me on “The Universal Language of the D.I.S.C”. His instruction shared with me how to understand the other person’s personality traits (as well as my own). By speaking to others in a way they understand best, they feel valued and understood. John understands business, and people’s deep desire to be cared for. If you also are interested in business and sharing deeper relationships, you should have a chat with John. A mutual friend connected me with John. That was a couple of years back. John provides uncompromising, thought-stimulating, ruthlessly honest insight and advice. His laser-like focus on making me keep my personal laser focused on my mission, vision and values has been priceless. I provide this reference for John. Call me anytime, and I will bend your ear for as long as you would like on the impact John has made on me personally and professionally. John has a deep understanding of what growth work entails. He knows what it takes to be an effective leader and communicates those ideas in an easily understandable format. I have seen the growth of this program over the past few years and it has become a comprehensive skill building tool for leaders across the spectrum of the organizational structure. Leaders at any level will learn how to identify personal strengths and weaknesses and how to work with them. The Ruh Advanced Leadership Development Program supports the individual through this process in a compassionate, non-judgmental way which enables true and lasting growth. The initial thought of working with a business development team is that they will throw all of the same ideas and systems onto your business that they have used on other businesses. This is not the case with John Ruh. It was nearly two months of John understanding our business before he started implementing his ideas and suggestions that helped us identify what our business plans and goals are. It was nice to know that the suggestions that he made were not only from a level of experience as a business leader, but they also came from an understanding of our business model, values, strengths and weaknesses. John helps me get things done while relating all activities back to our values and vision. With his guidance and expertise, we have moved from a firm of individuals without direction to a more unified group moving together toward our declared vision. His aggressive style and pace have kept us moving in the right direction. John Ruh is a results driven individual. John’s specialty is Vision, Leadership, Goals, Personnel and DiSC. If you want your business to achieve the results you want, John is the person to get you there. His Ruh Advanced Leadership Program will get you from where you are to where you want to get. In 2005, after a thorough process including DISC and other assessments, I hired a controller, Bob, for my $12-million-annual-revenue manufacturing business. Despite early evidence that the staffing decision was not a fit, I suffered with it for two years, determined to make it work. In 2007, I made the long-overdue decision to go back to the drawing board. After another thorough process, this time with John’s help, a hire was made. A new controller, Mark, was put in place to run our now $20-million-annual-revenue business. After a month, I was convinced I had made another mistake, and this time was determined not to suffer with it for two years but rather take immediate action. I called John and said, ‘…talk me off the ledge. I’m afraid I’ve made another mistake, but I don’t want to overreact based on my traumatic experience with Bob, stubbornly sticking with a bad fit for two years.’ John did talk me off the ledge, he reinforced and provided insights to Mark’s personal style and what I needed to do to help him through the on-boarding process. John predicted, ‘…if you hang in there, Mark will do great things for you….’ John was correct. Today in 2010, Mark remains a perfect fit, as controller and key contributor to our now $38-million-annual-revenue business. Without John’s insight, I would likely have compounded my first staffing error with a second one. John Ruh and Associates was employed to assist us in building a cohesive leadership team that was focused on a common set of goals. John’s incorporation of DISC profiling and training was extremely instrumental in helping us develop the ability to be clear in our communication with each other. We developed an appreciation for each other and the unique way in which we all communicate. His guidance on our first company game plan united us on our path together. We built an effective, communicative, and focused leadership team that now has the tools to take it throughout the facility. John is a great person. He has a large span of knowledge and lots of personal experience. High energy – want to earn his fee and wants to deliver. He has a network of resources he can bring to bear on issues. We have relied heavily on the tools John brought to the table, especially those involve the “intangibles” of culture. When I have a people issue, I call John. John Ruh is smart and insightful. He listens and understands the values that drive our business and the unique individuals whom we need to be successful as an organization. He helps me articulate my personal vision and support myself in that endeavor. I like to use John as ‘my personal coach.’ He forces you to look at your 60- to 90-day needs and take action. For about 10 years, I have been familiar with John’s work as a serial entrepreneur and a business coach. John is a fanatic about providing business owners and executives with the tools and support they truly need. John’s passion for helping others achieve success spurs him to fantastic results at the companies he serves. Don’t use John unless you’re ready to get a gutsy, honest appraisal of where your blind spots are. But, do use him. Your P&L and your people will thank you. We implemented and continue to implement the Ruh leadership program. I realized through his process of putting the right people in the right place is pivotal to the success of the company. John’s continued support keeps me and the entire company on track with our goals and vision. He is a constant reminder that leadership development is something not only done “after the normal operation”, but rather is the fundamental process of the operation. We engaged John M Ruh and Associates to help develop an approach to my company’s organizational development needs. We found that The Ruh Advanced Leadership Program (what we call our game plan) contained many of the elements we were seeking already and had a proven track record. Still skeptical, we employed it on a limited basis at first, but found the response from our test groups so compelling that we have begun deploying it throughout the wider organization. The results at this stage speak for themselves: a more engaged staff that takes effective initiative for achieving the team and their individual goals, higher levels of employee satisfaction, and a better overall perspective on the capabilities and needs of our most critical assets. I have worked with John at two different companies, both of which were in crisis. To help right the ship, John was able to come in a provide a framework to help stakeholders redefine and understand culture. This enabled the next step which was to take the culture work and put it in to the strategic planning process. This is always a critical step to incorporate culture work into strategic planning. With John’s guidance and help, we were able to engage stakeholders across the organization. I believe this was a critical component of the turn around. Once you have created this structure, it is easy to work on continuous improvement projects since you have built a strong foundation from which to grow and improve your business. John Ruh’s advanced leadership development program has provided a leadership model I can drive at my own pace. It’s the only program I have ever found that gives me the needed support to align both the individual and company goals. His concept of “natural empowerment” works and his work at defining our culture was exceptional.